Surprise surprise though he doesn’t give you access to his blueprint for free and instead you’re forced to hand over $97 in order to see it… But is it really worth its price tag? 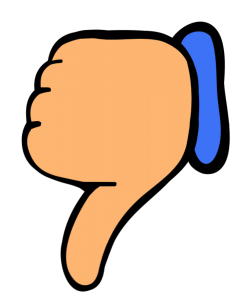 Or is The Ecom Freedom Blueprint a scam that’ll just leave you disappointed with your purchase & wanting your money back? What Exactly Is The Ecom Freedom Blueprint? And in the case of the Ecom Freedom Blueprint it’s actually kind of both – there’s additional costs involved (of thousands of dollars) AND the whole thing is borderline a scam because the Ecom Freedom Blueprint doesn’t even really exist… It’s just a gimmick that’s been put together to get you to buy into another program named My Ecom Club which coincidently is also owned by Teo Vee. Each one puts a totally different spin on things but essentially makes out that you’ll be able to make lots of money with ease, and that you don’t need any experience or technical knowledge to get started… But is it true? The answer to that is nope, it’s not! I mean yes, you can definitely make money through ecommerce and through dropshipping (which is what Teo’s course teaches), but the truth is that in my opinion Teo’s course is more designed towards taking money from you than actually helping you to get started, and that’s why several people have branded it a flat-out scam. How Does The Ecom Freedom Blueprint Work? Well like I mentioned above in this review, ultimately the Ecom Freedom Blueprint itself doesn’t actually exist & instead after handing over your cash (which I don’t recommend) you’ll be left to discover that you’ve actually bought into the My Ecom Club program. 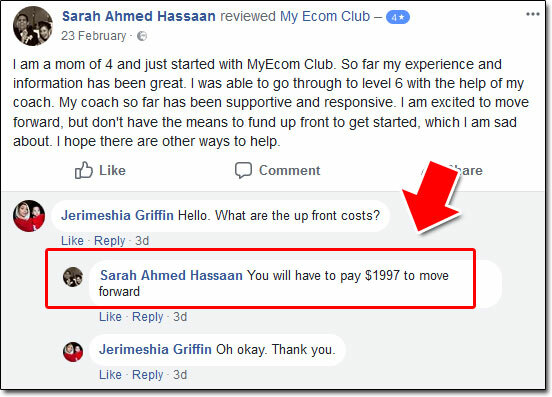 And there’s another problem – when you buy into the My Ecom Club program (which again I don’t recommend) you’ll be left to find out that for the fee of $97 you don’t actually get access to the full program. Well what you get access to is Teo Vee’s training on ecommerce, specifically dropshipping – which is where you basically make sales first & then have the products shipped directly from the supplier to the customer. But some people DO indeed make good money with it, I’m just saying you shouldn’t be fooled into thinking it’s as easy as Teo’s program makes it out to be. Personally I believe there’s a MUCH better way to make money online which is affiliate marketing (and you can get started with it for free at Wealthy Affiliate). The reason I say that is because with affiliate marketing you don’t have to handle products or refunds, you just connect people with the products they’re looking for & get paid a commission if they happen to make a purchase. However Teo does his best to make his method seem super easy & that’s because in my opinion he’s not really set out to help you like he claims he is. I mean sure, he does provide some help & training but as far as I’m concerned his primary goal is just to get you to spend as much money as possible on his program so that he can earn himself some money at your expense. It sure doesn’t look good, and I don’t like all the deceitful tactics of creating gimmicks like The Ecom Freedom Blueprint to trick people into signing up for it. Sell it for what it is or don’t sell it at all, that’s my opinion – and that’s how legit business should be done. Can You Make Any Money With It Though? The truth is that yes, the method taught by Teo Vee’s program is indeed a legitimate method of making money online, it’s just that it’s an awful lot harder to find success with than Teo makes out… And in my opinion his training is not the best (for the price) to help you find true success with it. I feel that if you were to sign up to Teo’s program you’d much likely just end up finding yourself spending more money on the training than you ever managed to make back through the execution of it & for that reason I personally don’t recommend it. Like I said previously in this review I feel a much easier, safer & cheaper option is to choose affiliate marketing instead. That way you don’t need to mess around with products or run the risk of falling into the red in the case of disputes or refunds. Affiliate marketing is super straight forward & literally all you need to focus on is the promotion side of things rather than a whole host of things at once. My Verdict – Is The Ecom Freedom Blueprint a Scam? Some people would say no because ultimately you do get some training on the other side & the method behind it all is indeed legitimate, but I am going to say that in my opinion it IS a scam because it’s built on trickery to get you to hand over your cash & you’ll be much more unlikely to find success with it than you’re led to believe. As far as I’m concerned the whole thing has just been designed to take as much money from as you possible to make Teo wealthy rather than to actually being designed to help you see success like you’re told. And alongside that the whole thing isn’t transparent at all – I mean initially you’re led to believe that it will cost just $97 but then after signing up & paying the money you’re left to discover that it actually costs thousands of dollars instead… In my opinion that is NOT good at all – I am all about programs being upfront & honest & the Ecom Freedom Blueprint simply isn’t. So with all that in mind it’s safe to say that I won’t be recommending The Ecom Freedom Blueprint program to you & instead I’ll actually be advising you to give it a wide berth because it’ll likely just cost you more than you ever make. There are plenty of much better legitimate (and safer) ways that you can make money online which you can see here. 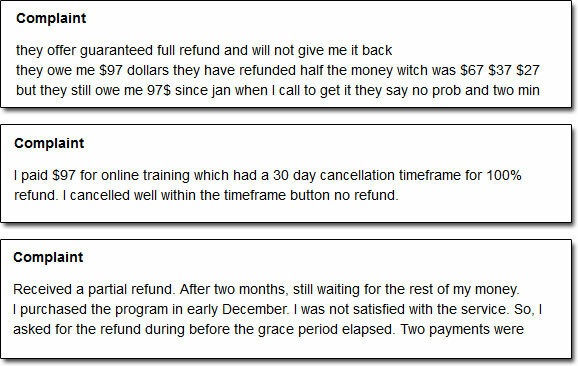 Usability Hub Review – Scam or Legitimate Way To Make Money Online? Picoworkers Review – Can You Really Make Money With Picoworkers?